I love quinoa salads. There, I said it. 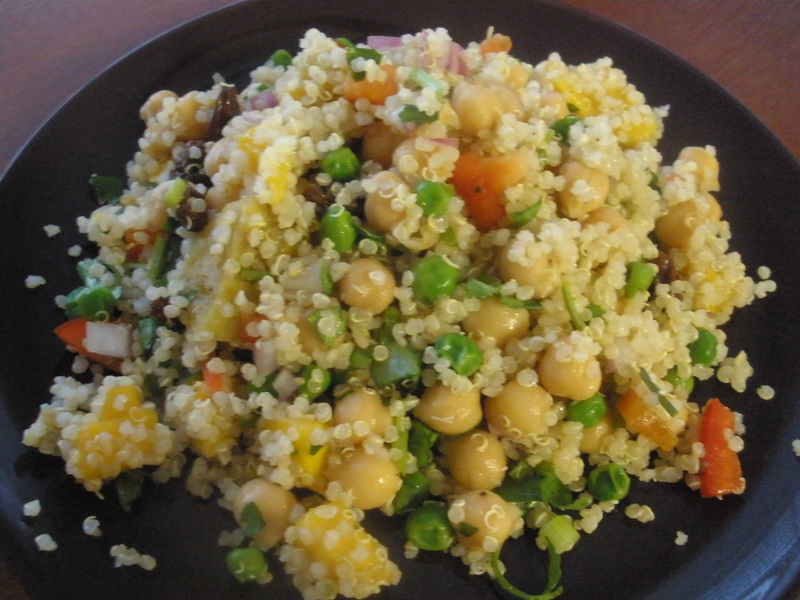 I realize I already have a few other quinoa salad recipes on my blog, but I keep coming up with new versions of the quinoa+beans+vegetables and/or fruits formula. Today I made a salad that was sort of tropical, because it has some mango and plantain, but it’s special because it really has a little of everything. Raisins, peas, mango, plantains, red and green onion, and more. It also has a lime juice-based dressing, which I adore. There is no super strong flavor in this salad. It’s really a mix a many equally wonderful flavors and textures. Cook the quinoa (this is a good step to do the day before, since the quinoa needs to cool completely). Bring the water and salt to a boil, add the quinoa, and turn down to medium low heat. Cover, and cook for about 20 minutes, or until the water is completely absorbed. Set aside to cool. 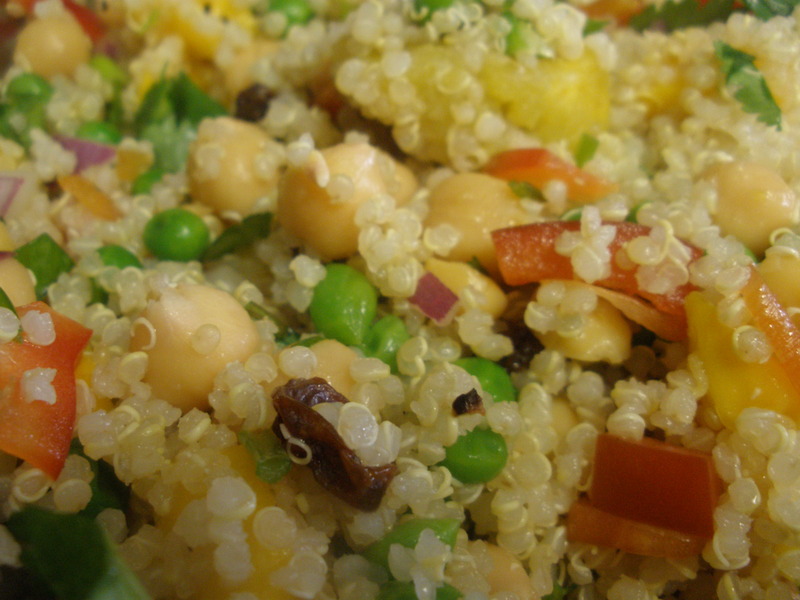 Combine chickpeas, cooled quinoa, mango, pepper, cilantro, raisins, plantain, peas, red onion, and green onion. Make the dressing. Combine the lime juice, olive oil, vinegar, and agave nectar in a bowl and whisk together. Add to the salad and mix until well-combined. Taste, and add salt if needed. Add pepper to taste.